As my own kids have started to get older, I’ve realized how much I really cherish our time together! Our kids won’t stay young forever, and the time you spend together now is so important. Before you know it, your kids will be heading off to college and moving out on their own, and what they’ll take with them is the experiences and memories they created at home! 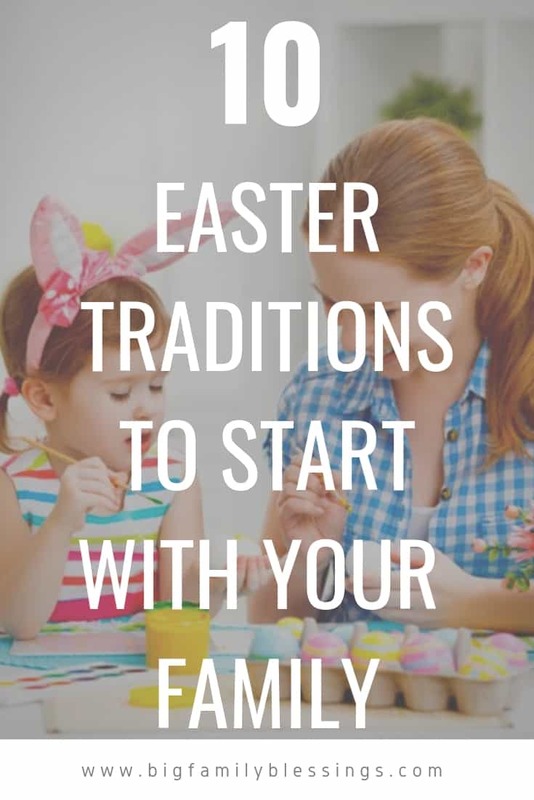 Easter is the perfect time to start family traditions that your kids will pass down to their kids, and help you make memories that will last a lifetime! 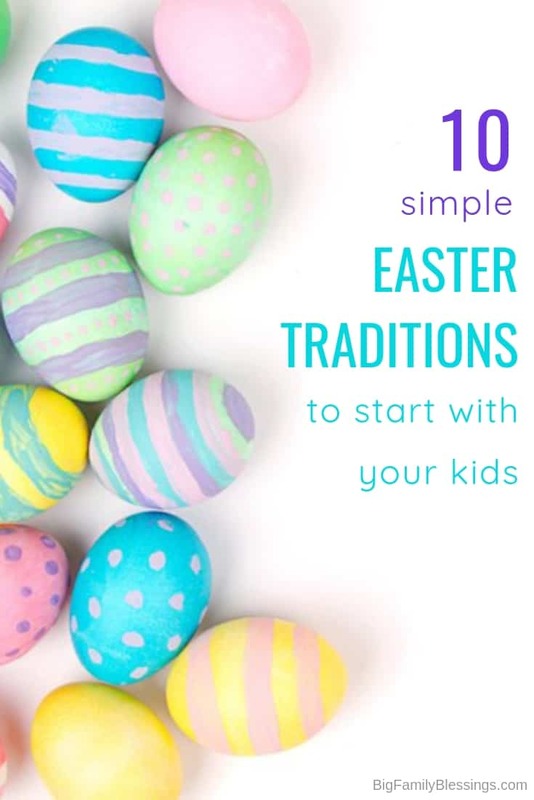 Here are 10 Easter traditions to start with your kids. You are never too old to hunt for Easter eggs. Have your kids hide eggs for the adults, and you hide them for the kids! Change up your hunt for extra fun. Try a nighttime hunt, or use clues to create a scavenger hunt! This can work sort of like an advent calendar with little treats inside, or you can use it to simply count down the days until Easter. Celebrate the arrival of spring by putting in new plants and flowers as a family! This is a great way to bring some life back into your yard after a long winter. If you are on a tight budget, you can still put together a great basket using items from the Dollar Tree. These don’t have to be extravagant but can be a fun tradition to start with your family. One of my favorite traditions is creating an Easter basket on a theme for my children. Looking back on photos we will remember that Emily was into sloths this year, and Rebekah was all about dolphins. One of the reasons eggnog is so popular at Christmas is because most people only enjoy it at Christmas time. Create a special treat that your family will only eat during Easter and make it something the whole family can look forward to. Instead of having a big Easter dinner, make Easter brunch your thing! Have a really big breakfast at home, and even dress up for the event! There are a lot of games out there ranging from board games or even printable Easter specific games that are great for the whole family. Make Easter a day when you break out games you haven’t played for a while and have some fun. Easter eggs are a tradition that most families are familiar with. There are so many ways you can dye, paint, or get creative with Easter eggs. Decorating an Easter tree can be a fun way to add some Easter decor to your home, and also create a fun tradition for your family. Any of these movies would be fun to watch as a family! 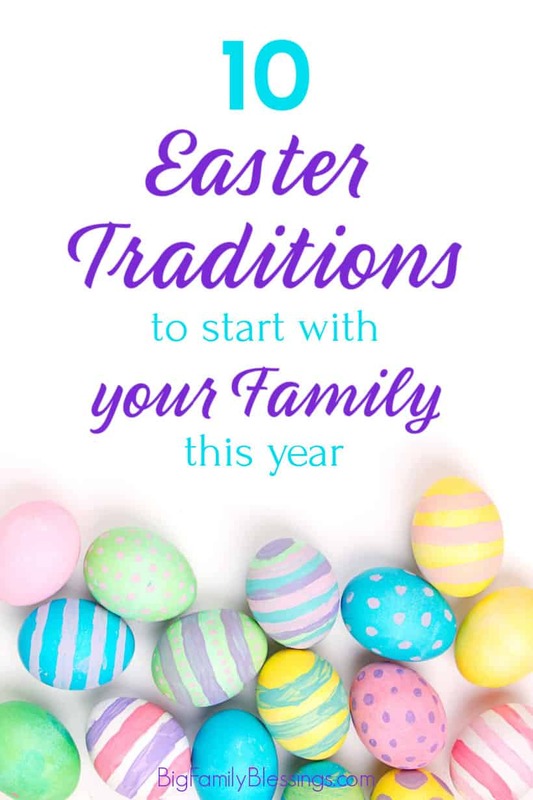 Easter has always been a favorite holiday of mine, and now I look forward to it, even more, knowing that we have special traditions that we do each and every year. What Easter traditions do you have with your kids?